The best-rated baby foods and utensils to help your baby during growth, plus a plethora of other products that will help you raise a healthy baby. Babies are born with all 20 primary teeth underneath the gumline. They normally begin to come through between 6 and 12 months, but teething symptoms typically start between four and seven months. The full set of baby teeth is usually in place by age 3. However, the timeline of your baby’s teething is no indication of his or her health. As exciting as it is when your baby’s teeth come in, it can also mean a particularly fussy infant and long, sleepless nights for you. Today we will discuss everything you need to know about teething, teething symptoms, how to comfort your baby and more. Teething is the exciting process of an infant’s first teeth emerging, typically in pairs, through the gums. The mandibular central incisors are the first primary teeth to emerge, usually between the age of 6 and 10 months. The tooth eruption process can take several years to complete. When teeth emerge hormones are released into the body which causes some cells in the gums to die and separate, leaving room for the teeth to emerge. This is process is commonly referred to as “cutting teeth,” although the gums are not actually cut during this process. Hopefully, you have been running a soft infant toothbrush or a clean, damp washcloth over your baby’s gums every day. This cleansing keeps bacteria from building up in your baby’s mouth. When your baby’s teeth first appear, use a small, soft-bristled toothbrush and a bit of fluoride toothpaste at most the size of a grain of rice. At about two or three years old, when your child learns how to spit, use a dollop the size of a pea. When your baby starts teething, at about six months old, it is time to think about regular dental checkups. The American Academy of Pediatric Dentistry and the American Dental Association recommend scheduling a child’s first dental appointment between the time the first tooth appears and his or her first birthday. Regular childhood dental wellness checkups help set the stage for a lifetime of healthy gums and teeth. What Are The Five Main Teething Symptoms To Look for? Normal teething symptoms are fussiness, trouble sleeping, irritability, loss of appetite and drooling more than usual. Abnormal symptoms which may warrant a call to the pediatrician are fever, diarrhea, and rash. If your baby is pulling his or her ears and rubbing the chin and cheeks, the teething process is around the corner. By pulling and rubbing, babies massage their jaw, countering the pressure of the teeth trying to erupt and easing some of the throbbing pain. If she is between 3 months and 3 years old and her sleeping patterns change, it may be due to teething discomfort. This causes babies to nap less and wake up earlier in the morning. How Do You Treat Teething Symptoms? While it is miserable to watch your baby suffer, you can ease their pain. If your teething baby is communicating discomfort, there are a few things you can do to comfort your baby. Usually, teething can be handled at home. You only need to contact the pediatrician if your baby develops a fever, seems unusually uncomfortable or has other signs and symptoms of an illness unrelated to the teething. Use a moistened gauze pad, cool spoon or a clean finger to rub your baby’s gums. The pressure can ease the pain and discomfort. Cold washcloths and chilled teething rings can also soothe your baby’s gums, but do not freeze the teething ring. Teething rings, fingers and other objects in the mouth will produce saliva. Keep a clean cloth nearby to dry your baby’s chin to prevent skin irritation as excessive drooling is all part of the process. You may also apply a moisturizer such as a water-based lotion or cream. If your baby is eating solid foods, offer something edible up to gnaw on such as a baby carrot or peeled cucumber. Keep a close watch out for choking, though, as any piece that breaks off poses a choking hazard. If your baby is not eating solid foods, try applesauce, pureed fruits or yogurt. If your baby is especially fussy, try an over-the-counter remedy that is safe for babies. Try a non-steroidal anti-inflammatory drug like ibuprofen, sometimes sold as Advil, Children’s Motrin and others. Otherwise, try acetaminophen, often sold under the brand name Tylenol. The Food and Drug Administration recommends against parents and caregivers offering babies benzocaine products for children under two years of age. They provide little to no benefits for treating oral pain including sore gums in infants caused by teething. The FDA also urges parents to not use homeopathic teething tablets. Lab testing discovered inconsistent levels of a toxic substance known as belladonna in some homeopathic teething tablets. In some cases, these far exceeded the amount claimed on the label. There is no current proof of health benefits from these risky, unsafe products. On the other hand, they are known to cause methemoglobinemia which greatly reduces the amount of oxygen carried through the bloodstream. Amber teething necklaces use the baby’s body heat to trigger a natural anti-inflammatory, succinic acid. Remove the necklace any time you turn your back from your baby, especially before bed, to prevent choking. Wrap it around the wrist or ankle if you want her to wear it as she sleeps. You can also get a silicone teething necklace for yourself, so your baby can fiddle with in while sitting on your lap or in a baby carrier. Herbal remedies have been used for centuries to ease teething pain. Make herbs into a tea and use it to dampen a washcloth before freezing. Give the tea to your baby as a beverage or rub it directly on the gums. The tea can be made by steeping one teaspoon of herbs in 10 ounces of boiled water for 6-7 minutes. Herbal infusions can be made by placing your herbs in a small saucepan and covering with olive oil. Simmer on low for four to six hours, strain and store in the refrigerator. Dab the oil onto your baby’s gums as needed to relieve symptoms. Rosehip – Rosehip tea is packed with vitamin C and antioxidants which are great for boosting the immune system. This reduces the risk of gum infections and anti-inflammatory properties reduce pain. Chamomile – Chamomile is used to relax your baby and soothe irritability. It makes a wonderful tea and is a popular remedy for teething pain. Catnip – Catnip is proven to calm your irritable baby and help her rest. Clove – Clove has natural anesthetic properties and works as well as benzocaine, a synthetic numbing agent, without the associated potentially lethal risk. Teething is an exciting time. Your baby’s teeth begin to erupt from the gums. Think about scheduling a dental appointment after your baby’s teeth start coming in. With a little knowledge, you can relieve any teething symptoms your baby is having and can sleep peacefully through the night. Change in appetite and sleeping habits, fussiness, excessive drool, chewing on objects and sore or tender gums are common. Keep an eye out for a rash, diarrhea or fever of 100.4 degrees or more. This can be a sign of an infection and you should call your pediatrician. A change in eating habits can indicate gum pain, so massage the gums with gentle pressure and a clean finger or moist gauze pad. If this is ineffective, you can try child-safe over-the-counter medications. Keep the gums cool and dry any drool to prevent skin irritation, but do not expose your baby’s gums to the cold for too long. 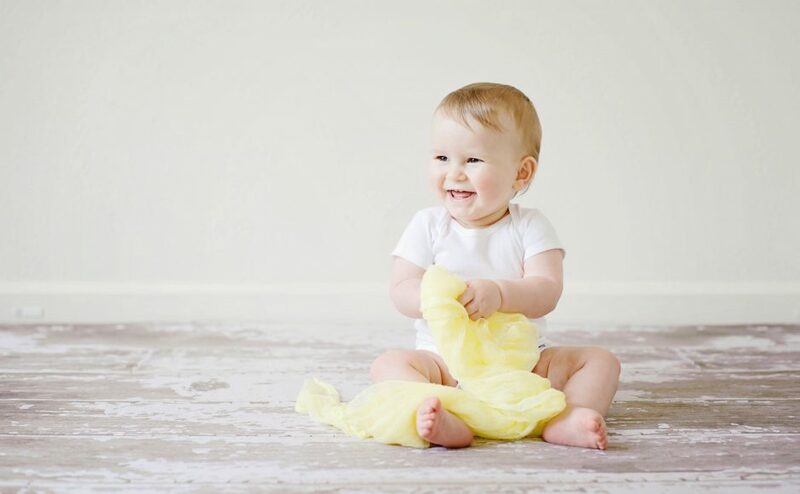 Avoid numbing gels such as benzocaine for children under 2 years old, homeopathic teething tablets and some necklaces which can pose a choking hazard. Try feeding your baby cold foods such as peeled cucumbers or carrots if they are eating solid food. If not, pureed fruits, yogurt, and applesauce are good options. Using the best prenatal vitamins you can find is an important consideration for mothers to be. It is a commonly known fact that a woman’s nutritional needs differ once they become pregnant. Eating a healthy diet rich in nutrients will always be your best bet for ensuring the health of your body and your baby, but it's challenging to meet all of your daily nutrition requirements with food along. This is why many doctors highly recommend taking a prenatal vitamin each day for expecting mothers throughout their pregnancy, and even while breastfeeding. In this article we’ll be covering the benefits you can get by using one of the best prenatal vitamins, covering a few of the user reviews to let you know what people who use the top prenatal supplements think, and comparing these products to find the best prenatal vitamins for your needs, preferences, and budget. What Is A Prenatal Vitamin? A prenatal vitamin is a supplement that gets taken each day by women who are pregnant, those trying to become pregnant, and breastfeeding mothers. The supplement usually comes in the form of a tablet that can get taken with food each morning and leaves no taste behind. They are simple to take and a great insurance policy for preventing nutritional deficiencies. What Does A Prenatal Vitamin Do? The purpose of using the best prenatal vitamins you can find is to avoid a deficiency of vitamins, minerals, and other essential micronutrients. Many women are shocked to find their nutritional needs have changed after becoming pregnant and have a hard time using food to fill the gaps. Sometimes, women can have a lot of trouble keeping certain foods down, while others have intense cravings that make it hard for them to eat the most nutritious food intuitively. 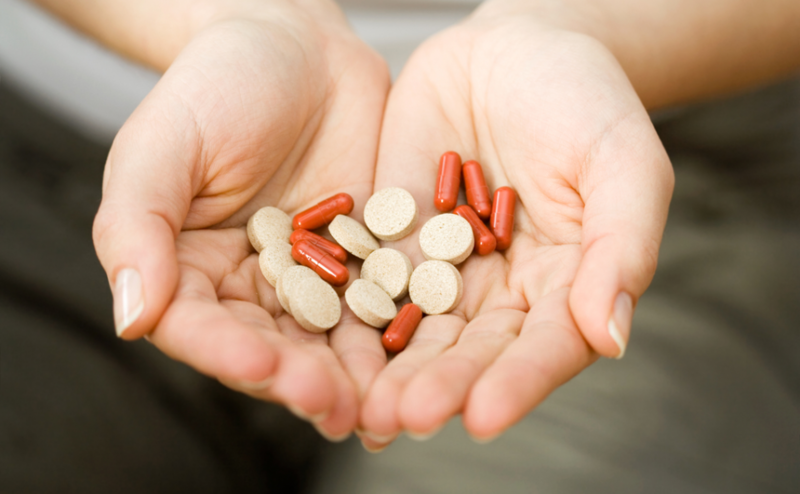 How Do Prenatal Vitamins Work? The best prenatal vitamins will provide your body with the essential vitamins, minerals, and other micronutrients which are hard to get out of your diet. These deficiencies have to become severe to inhibit the development of the baby, but the mother's health and wellness can quickly get impacted with nutritional deficiencies. Where Can You Buy Prenatal Vitamins? One convenient thing about using prenatal vitamins is that you can purchase these supplements at a wide variety of locations. Some people will buy their prenatal vitamins at supplement stores such as GNC, but the costs in money and time when going to these stores can be higher than online retailers such as Amazon. Amazon and other online retailers offer a wide selection of formulations at competitive prices that get shipped to you within a few days. To change the aspect of the number box (color, border or shadow) click on the number and select in the breadcrumbs the content box just before the paragraph. We reviewed the best prenatal vitamins in this article with the following criteria in mind; Pros & Cons of the supplement, the ingredient included in the supplement, the availability of the supplement and the cost associated with the supplement. We’ve done our best to balance these factors and recommend only the top ten best prenatal vitamins available to consumers. 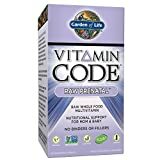 Garden of Life Vitamin Code Raw Prenatal Vegetarian Multivitamin has some thoughtful additions such as a probiotic that aids digestion, ginger, vitamin D, and zinc. The supplement has all the folate a pregnant or nursing woman could need, and a wide selection of vitamins including a B vitamin complex, vitamin A, and vitamin C.
Zahler Prenatal DHA is a complete solution for those looking to cover all their bases when pregnant or breastfeeding. This supplement features over 25 various vitamins and nutrients and 300 mg of DHA, an essential omega-3 fatty acid. Zahler manufactures this product in the United States and comes from a trusted brand in the supplement industry. 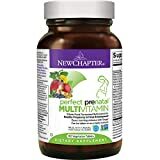 New Chapter Perfect Prenatal Vitamins is formulated with no added sugars and has plenty of folates to help your baby develop properly. The ingredients of this vitamin are from whole food fermented sources that feature a high ability to get digested, so they are gentle on your stomach. This is the first product to get manufactured with certified all organic ingredients like kale, broccoli, cauliflower and much more. 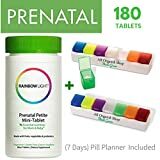 Rainbow Light - Prenatal Petite Mini-Tab Multivitamin is a conveniently sized tablet that's easy to swallow and features an effective blend of nutrients to support your growing baby. At 800 mg of folate, and a special digestive support blend this is a good choice for those with stomach issues when taking multivitamins. FOR MOMMA: We're here to help. Endure those long nights with help from energizing B vitamins and iron. 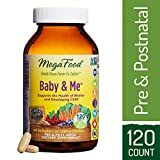 MegaFood - Baby & Me features all natural ingredients that help support strength, balance your mood and prevent nausea during your pregnancy. You can take the formula on an empty stomach due to its gentle ingredients and high digestibility. It takes 4 tablets to get the advertised dosages, but the tablets are relatively small and easy to swallow. Nature Made Prenatal + DHA 200 mg Multivitamin Softgels comes from a trusted brand in the supplement industry, and this formula is a complete solution for those wanting to maintain their health during pregnancy or breastfeeding. The addition of DHA prevents you from having to buy another supplement to get all the ingredients you need. 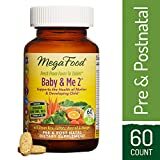 With 800 mg of folic acid, many thoughtful additions, and a rock-bottom price tag this is a solid choice for one of the best prenatal vitamins. The Honest Company Whole-Food Based Prenatal is a great option who are looking for a whole food based prenatal vitamin from a brand that offers a high amount of transparency and has a mission to change the world one product at a time. This prenatal vitamin features all the usual ingredients like folic acid and vitamin D but also includes digestive enzymes to help support a healthy digestive system. 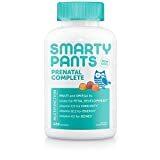 SmartyPants Prenatal Complete Daily Gummy Vitamins are great for those who have trouble swallowing tablets, or just never remember to take their vitamins consistently. The best supplement is the one you will take each day, so it may be a good option to reward yourself with a tasty treat every time you need to take your vitamins. 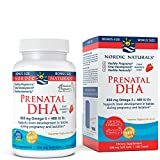 Nordic Naturals - Prenatal DHA would be a great addition to some other formulas on this list that lack the addition of DHA. These omegas-3 fatty acids are vital to proper development, so it's important to take a supplement like this if your existing product doesn’t include them. 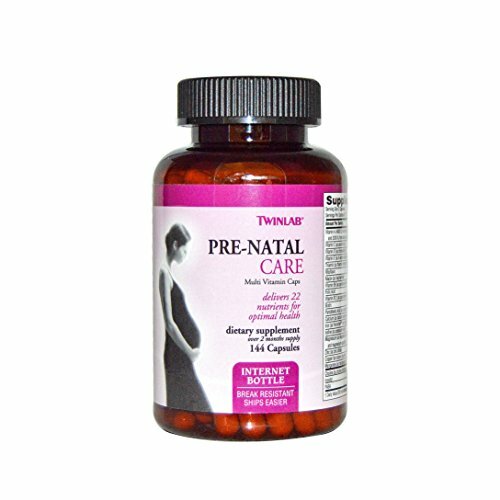 Twinlab Pre-Natal Care Multi-Vitamin Capsules comes from a trusted name in the supplement industry. This prenatal vitamin is an affordable solution for those looking for a good value for each serving. The formula lacks DHA and has a low dose of vitamin D, but with the price being so low, you could afford to take other supplements to fill in the gaps. If you're looking for a supplement that's easy to take with an enjoyable texture and taste, a gummy vitamin is a great option for you. The SmartyPants Prenatal Complete Daily Gummy Vitamins could be a good fit if you don’t mind eating 6 gummies each day and getting 7 grams of sugar with each serving. If you’re looking for an affordable option that has the highest amount of servings in a bottle, Nature Made Prenatal + DHA 200 mg Multivitamin Softgels would be a good fit. At just $13 for a 60 serving bottle, this represents an affordable option for those looking for the best value. In conclusion, you can easily incorporate any of the best prenatal vitamins on this list into your healthy lifestyle. These supplements will help you maintain your nutritional fortitude needed to keep your body healthy throughout your pregnancy. Finding the best prenatal vitamins for your body will not only prevent you from experiencing nutritional deficiencies but also help keep you as healthy as possible as you experience this new and exciting adventure of motherhood. When you have a new baby at home, finding the best formula for newborns quickly becomes a priority. While many moms receive a lot of free formula samples to welcome their newborn home, these are not always the best option for both mama and baby. The nutrition of your baby is one of the most important factors in allowing them to develop properly and give them the best possible start to life. While many doctors suggest breastfeeding your baby, there are many situations where mothers and babies experience difficulties regarding milk production or the latching process, and selecting the best baby formula is an absolute necessity. 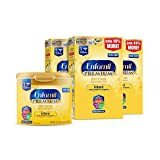 Thankfully there are some great formula options for nourishing your infant, but choosing the best baby formula for your infant can be a difficult choice with the overwhelming number of options on the market today. Doing a small amount of research on the topic can help you make an informed decision regarding which product is the best baby formula for your situation. In this article, we’ll be exploring the top 10 best baby formula options to help you find a formula that will fit your needs and your budget while offering the best nutrition for your little one. 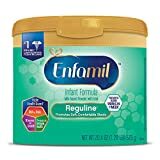 How Do I Select The Best Baby Formula? How Can I Tell Which Ingredients My Infant Is Sensitive / Allergic To? Where Can You Buy The Best Baby Formula? Baby formula is a food product that is specifically designed to help nourish infants. Scientists have taken special care to create formulas that address the unique nutritional needs of infants to ensure the formula offers the most bioavailable nutrients and addresses any vitamin or mineral deficiencies before they occur. 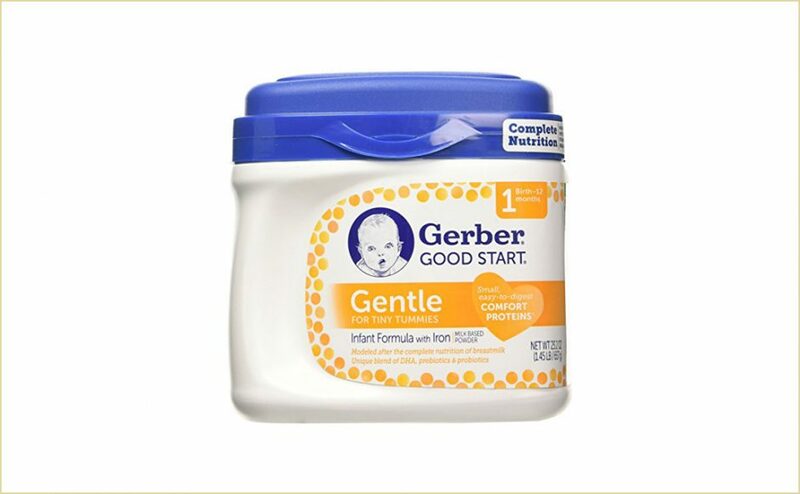 Baby formula technology has come a long way over the years, and current formulas offer more variety and choice than ever before for infants with sensitivities to certain ingredients. The vast majority of baby formula products are designed to offer the right balance of macronutrients and micronutrients for your growing infant, but the ingredients that each formula uses could be different from each other. This means that paying special attention to food sensitivities like lactose intolerance or other negative effects from certain formulas is especially important. Some babies can use a wide variety of formulas and thrive on all of them, while other infants with multiple food sensitivities or digestive issues require thoughtful selection to ensure that the formula doesn’t bloat the baby or create allergic reactions. Unfortunately, there is no surefire way to know what ingredient the infant will be sensitive to before giving them a particular formula. This is where a watchful eye and an attentive approach will help you greatly in determining the best baby formula for your child. You might choose to use one formula for a few days while observing their reaction to the formula. If you notice any change in your infant's digestive process, consider switching formulas. It could be advised to only use one formula at a time to make sure if there are any adverse reactions, you can know immediately which product is the cause of the reaction. Many formulas are designed to be hypoallergenic so risk of serious issues is low, but it’s not uncommon for the baby to experience gas or bloating when the ingredients in their formula are not digesting well. A great advantage of using baby formula is that you can purchase many brands at your local grocery market across the country. The high availability of these products means a meal is never too far away for your baby. 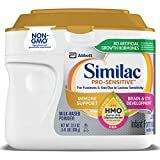 If you can plan ahead, though, buying your baby formula at an online retailer such as Amazon can be a great way to access brands not stocked by your local stores. You may also save a considerable amount of money on some products. Brands that use more specialized ingredient can cost a lot more, and thus it is prudent to test out some more affordable formulas first to see how your infant reacts. Buying baby formula can get expensive when you're paying for the most expensive formulas. We reviewed the baby formulas in this article with the following criteria in mind; Pros & Cons of the formula, the palatability of the drink, the availability of the product in stores and online, and the health benefits associated with the product’s ingredients. We’ve done our best to balance these factors and recommend only the top ten best baby formula options available to parents. No. 1 brand recommended by pediatricians. 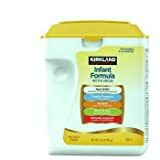 Using one of the best baby formula options we have reviewed in this list can be a great way for parents to ensure they are properly nourishing their little one. The risk of nutritional deficiencies need not concern you once you have chosen a great formula for your child. 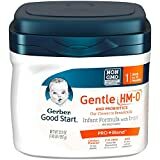 Many of the best baby formulas work well for most babies, but depending on your budget and the unique needs of your child, we could see you choosing a few options over other products in this list. If you’re not burdened by a limited budget and you want a formula that uses all organic ingredients, the Vermont Organics Milk Based Organic Formula would be a great option. It may not work for those babies with lactose sensitivities, but if that’s not your child, consider this product. The ingredient list is high-quality and free of harmful pesticides. 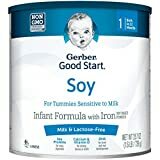 If you’re looking for an option that would work well for lactose-sensitive babies, Gerber Good Start Soy would a worth trying out. Many babies experience gas or bloating with milk sugars or even milk proteins, so switching to soy could help their digestion profoundly. We hope the research compiled in this list can help you determine which option is the best baby formula for your child’s needs. Having a sick child is never fun for any parent, but your anxiety can seriously spike if your little one starts running a fever. Having the best baby thermometer can help you decide between a dose of cold medicine and a trip to the ER. 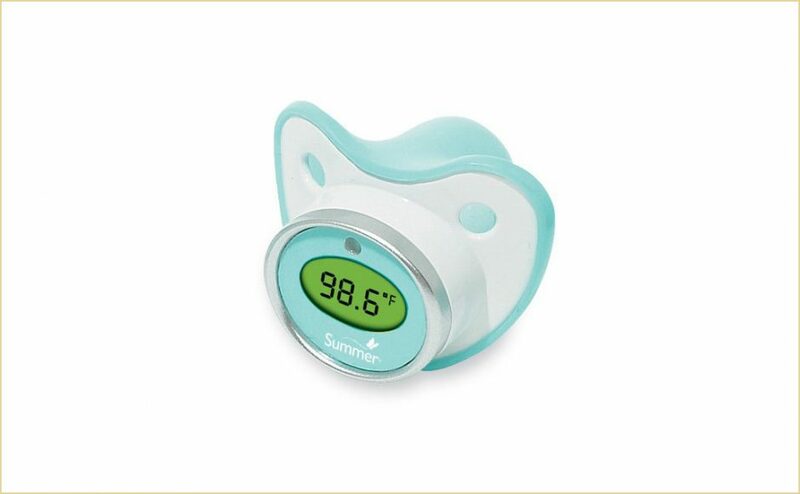 To help give you peace of mind while your child is under the weather, here’s a list of the 10 best baby thermometers.